In law, a claim is a way to invoke a legal right, or to demand fulfillment of a legal right. When you have evidence that shows you have a right to something (money, property, etc. ), you can file a claim to demand that that right is honored. It comes up in many places (such as in property law, where one person may have a claim on part of another person’s property or asset). However, we see it most often in “tort” law, also known as personal injury law. Georgia’s state tort laws set out very specific conditions where one party has a valid claim, and how they can go about enforcing it. These are all cases where one party was negligent and it led to the other party being injured. Under the law, the injured party has a right to recover money for those damages, paid by the at-fault party. But the only way to actually get that money, in most cases, is to file a claim. 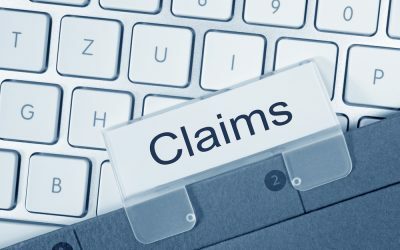 Who is my claim with—the courts, the insurance company, or the person who caused my injury? The answer, in many cases, is all three. And, in many cases, it will only be one of the three, depending on how the first party responds. The at-fault party: Technically, your claim is against the person, business or entity whose negligence caused your injury. The law gives you the right to recover your money directly from them—even if they have no insurance. But it’s rare to actually get the money without either a lawsuit, an insurance claim, or both. Insurance: Most injury cases actually involve an insurance policy of some kind (car insurance, property insurance, etc.). That means that you and your lawyer can file a claim with that insurance company, although deadlines are often tight. In theory, your lawyer could negotiate a fair payment from the insurance company without every filing a lawsuit. Sometimes this works, and sometimes it doesn’t. The courts: If negotiating with the insurer doesn’t work, your lawyer will file a complaint with the appropriate court. This is the first document that starts a lawsuit. In many cases, you will continue negotiating while both sides prepare for the lawsuit, and can often still negotiate an agreement before the court date ever arrives. If needed, however, you can go to trial. You may then win a formal court verdict in your favor, forcing the other side to pay. Good lawyers prepare for every case as if it’s going to trial. But most will settle long before then. It’s important to talk to an Atlanta personal injury lawyer and get a professional assessment of your claim as early in the process as possible. Far too many injured parties wrongly assume that they have no claim—or accept the first amount the insurer offers, and lose out on a lot of their rightful money. Don’t make that mistake. The attorneys of John Foy & Associates have over 20 years of experience helping victims with their claims. We offer a FREE consultation and charge nothing if we don’t get you money. Let us help. Fill out the form to your right or call us at 404-400-4000 to get your FREE consultation today.